Explore some solutions to restore WhatsApp backup for both iPhone and Android for protecting your WhatsApp chats, photos, videos and other files efficiently. How do I Restore WhatsApp Backup withour losing existing data"
" I ever made a backup of WhatsApp data via iTunes but find if I restore WhatsAp directly from iTunes I will lose other data on new phone. Who can help me on this ? WhatsApp is so convenient to use and the latest features alike call and pay options have made it an integral part of our lives. We use WhatsApp to communicate with friends, family and business partners, so there is lots of precious data stored in WhatsApp. 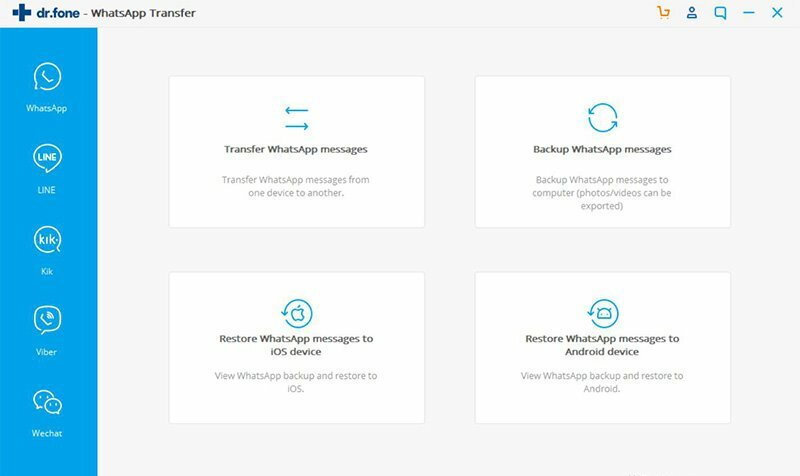 With regular backups, you are able to restore WhatsApp backup anytime as you wish. However, the problem facing many of us is that sometimes we can’t find the right solutions about how to restore WhatsApp messages and if you do not operate it properly you may lose your valuable WhatsApp data all of a sudden. In this article, we will introduce a total of 6 solutions which can help you restore your WhatsApp data safely and can do this with not just one, but 6 different methods for iPhone and Android devices! We will be discussing the following parts in this article. If you have a WhatsApp backup made for your iPhone, restoring it will help you get all the files in the backup to your iPhone. There are several methods in which you can restore WhatsApp and we will be going to through the most popular ones that will help you restore the backup on iPhone. Let’s start with the easiest one on the list! iSkysoftToolbox is a feature-packed software developed for making your lives easier when it comes to your smartphone. The backup restore function of iSkysoft is just one of its many features. 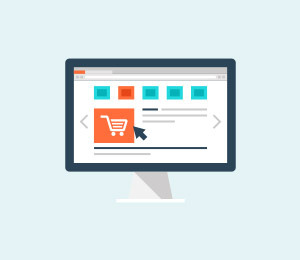 The UI is designed in such a way that you can get on with the process without having to go through the jargon that we always see with other softwares. 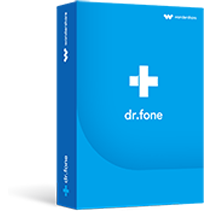 Restore WhatsApp Backup without Losing Existing Data on new iPhone/Android. Let us go to review some of the standout points of the iSkysoft toolbox that helped it secure the number one spot on our list! Step 1: Download the most recent version of iSkysoft and install it. 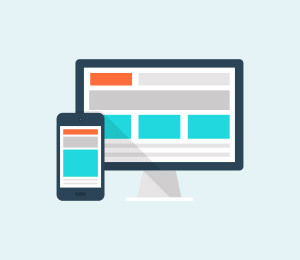 Connect your iPhone to the computer and launch the software. Out of the numerous options, click “Restore Social App” to begin. 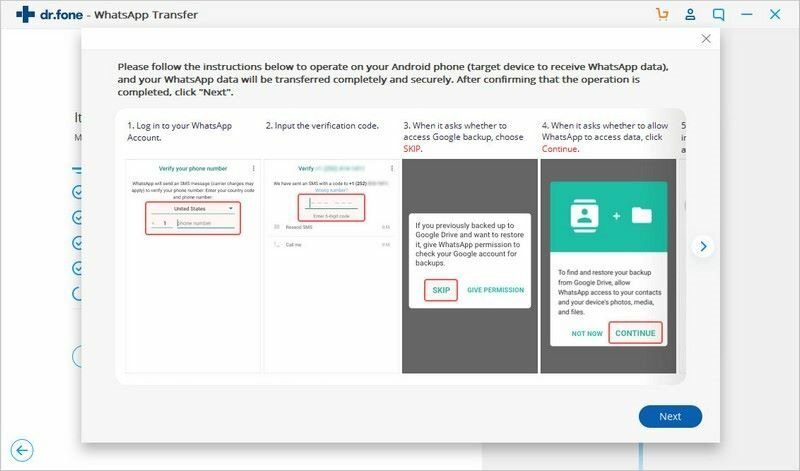 Step 2: You will be shown four options, click “Restore WhatsApp messages to iOS device” or Restore WhatsApp messages to Android device which depends on your specific requirement. Here we take an example on how to restore WhatsApp from iPhone to Android. Step 3: Once you click on "Restore WhatsApp messages to Android" in last step, you will be presented with the following window. 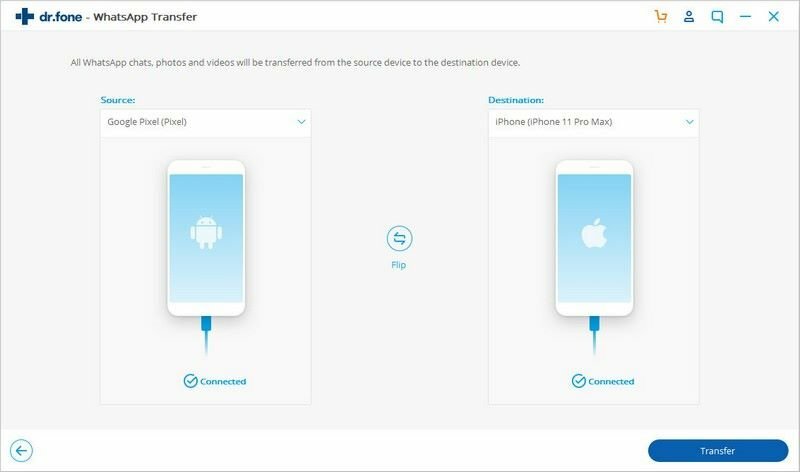 You can connect both of your iPhone and Android phones with the computer and then tap on "Transfer" button. Step 4: The iSkysoft Toolbox will start to restore WhatsApp messages and you just need to wait patiently during this process. Step 8: After the WhatsApp restore process is over, the following window will be shown. Now launch WhatsApp on your device and you will be greeted with all the chats that you had on your backup, organized neatly on your phone. In essence, every bit of data you lost, you will be able to regain it. Every iPhone user has an iCloud account tied to their Apple ID. Basically, iCloud provides cloud storage for iOS users. 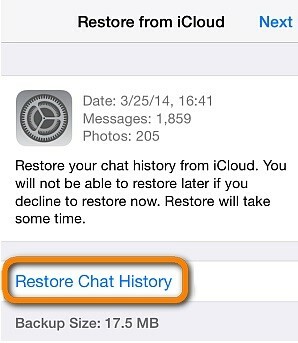 You can restore WhatsApp Chat via iCloud and restore your WhatsApp data to another iPhone. Like all free service, iCloud has a limit to how much data it can store. This limit is set at 5GB (Gigabytes). If you try to store any more information than that, the iCloud will show you error messages and your data won’t be stored. 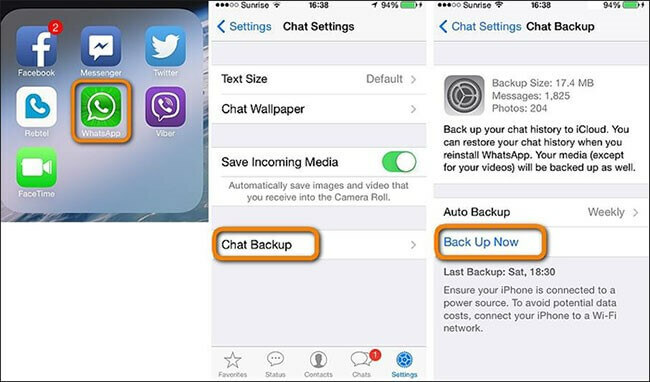 We will show you the steps involved in how to take WhatsApp backup from iCloud. Step 1: Factory reset your iPhone. Users must note that factory resetting your phone will cause you to lose all the data that is being stored on the target phone. Step 2: Turn on your iphone and go through the setup process. 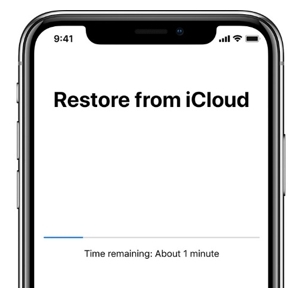 When the Apps & Data window is shown, click “Restore from iCloud backup”. Step 3: You will need to enter your iCloud credentials during this process. The iPhone will automatically search your iCloud for backup files and select the most recent one. The restore process will then begin. Within the WhatsApp settings in your phone, you will find an option from WhatsApp that lets you backup your WhatsApp data. When you enable this option, the data will be saved to your iCloud account. If you have such a backup in place, then you can use that backup to restore WhatsApp data to your iPhone. We will briefly show you the WhatsApp settings and how to restore WhatsApp messages on new phone using WhatsApp in-app settings. Step 1: Launch WhatsApp on your iPhone and click settings. 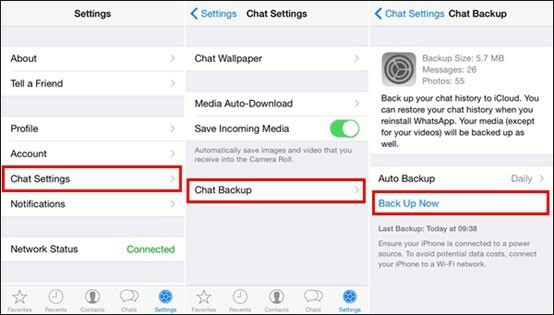 In settings, click “Chats” and then tap on “Chat Backup” to set the backup values. In the new window, click “Backup now” to immediately backup WhatsApp messages. Step 2: After making sure that a manual backup is in place, you need to uninstall your WhatsApp from the iPhone. Step 3: Now reinstall WhatsApp from iTunes and go through the setup process. After your mobile number is added, the app will search for WhatsApp backups on your iCloud. After finding the latest backup file, you will be shown the following message. Click “Restore Chat history”. Step 4: WhatsApp will download the backup file from your iCloud and will commence the backup process automatically. Make sure your iPhone is connected to a reliable WiFi connection during the backup download. 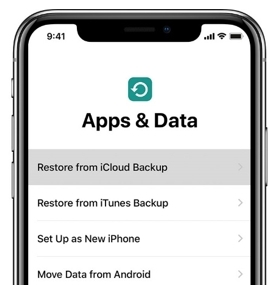 You must have noticed the that restore whatsapp backup via local backup is very similar to the iCloud backup process as the data via WhatsApp backup is also stored on iCloud. Hence, the disadvantages of the iCloud restore process are carried over to WhatsApp Messages restore Via WhatsApp Backup process. 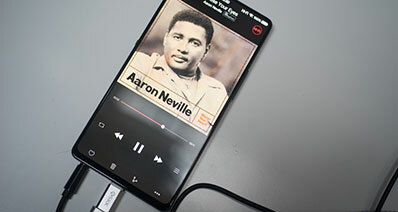 So you are still stuck with the meager 5GB storage, and in the process of restoring your backup, it may easily fails if the data storage is big,especially for some large files like videos and ducuments. The iTunes is a desktop software from Apple that lets you manage your iPhone data through your computer. 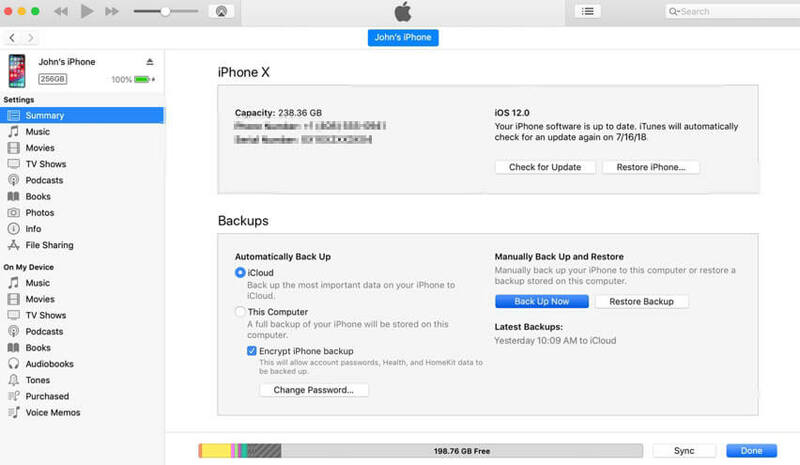 One of the features that are present in the iTunes is the ability to restore a backup that is present on your computer. To manually backup WhatsApp Data using iTunes, you must first download iTunes and install it on your computer. Connect your phone to the computer can launch the program. You will be greeted with a similar window like the one mentioned below. Click “Backup now” to manually create a backup file on your computer. Like iCloud, iTunes also lacks the option to backup select apps, so iTunes will back up all the app data present in your iPhone. Now let’s review the actual restoration process. Step 2: Go through the setup process and when the following window comes Click the option “restore from iTunes backup”. Step 3: Now connect the phone to your computer and launch iTunes. 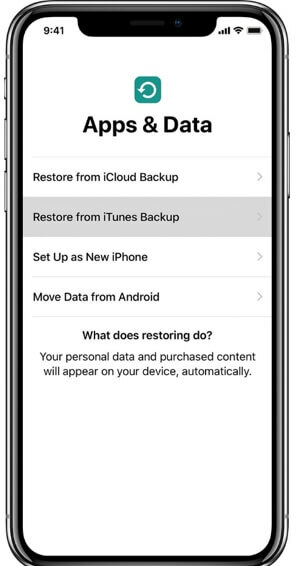 Click the option “Restore Backup”. Step 4: Now in the following window, select the Backup file you want to restore and click ‘Restore”. It is recommended to select the most recent backup file. Step 5: Wait for the process to be finished. Ensure that your iPhone is connected to the Wifi and has enough power in it. Users must pay heed to the fact that this method will require you to factory reset your iPhone. This will cause all the data inside your new iPhone to be deleted. The only way you can have all the files intact is by backing up all the data in your phone. This will include videos, music, images, documents, apps, etc. this will add up to a very large backup file. This will result in slower backup and restoration process. Since a large amount of data is being moved across devices, there is a chance that you might lose some of your data during the process. Now that we have gone through the most popular ways of restoring WhatsApp data in iPhone, let’s look at the other end of the spectrum – Android devices. No, we haven’t forgotten about android users and to prove it, we have compiled two most effective ways in which you can restore WhatsApp on android. 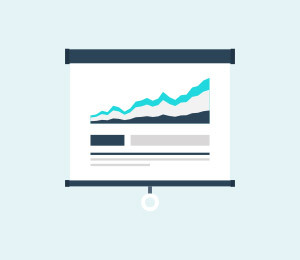 These methods do vary in effectiveness and simplicity, and we will let you be the judge of which one to choose. 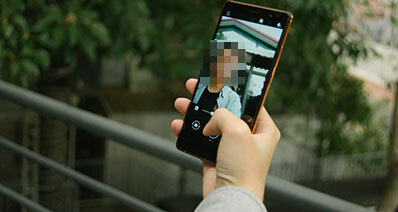 We are going to start off the list with a method that we find most effective for android devices. Lets review. Like iCloud, Google also has a cloud service that caters to its vast audience, aptly named Google Drive. You can backup WhatsApp data to your google drive and then restore WhatsApp per your convenience. 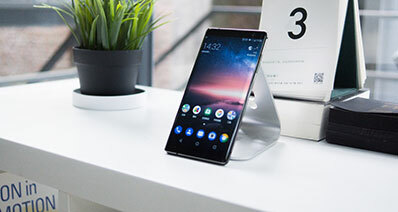 Again, this method will require you to have a stable high-speed internet connection as this process involves both upload and download of WhatsApp files, and they may get very large in size if you opt to include media files. 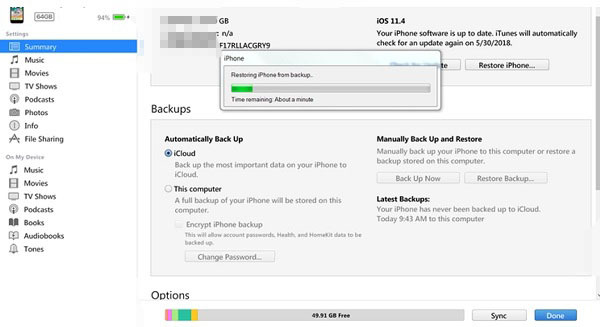 Step 1: Before going into the restoring process, it is essential that you have the backup file set up in the first place. 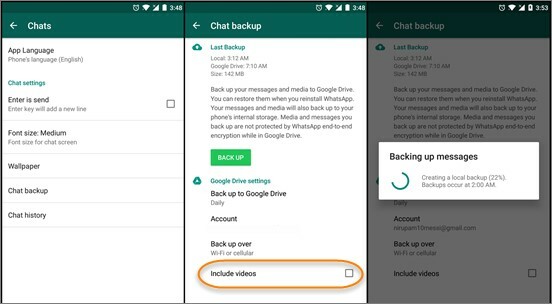 To back up your WhatsApp data on your Android device, navigate to WhatsApp settings> Chats> Chat backup> Back Up Now. Step 2: For the restoration process, Uninstall your current version of WhatsApp and install the latest on from Google play. Step 3: Complete the preliminary configuration that comprises of adding your phone number and Google ID. After that, you will be prompted with the following message. 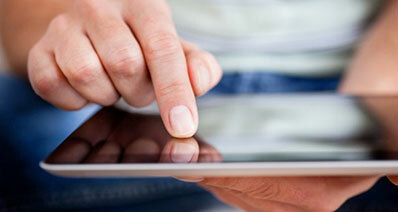 Click “Restore” to begin the restoration process. Step 4: Wait until the restoration process is over. The time duration will depend on your internet connection and backup file size. Step 5: Upon completion, you will be shown the following message. 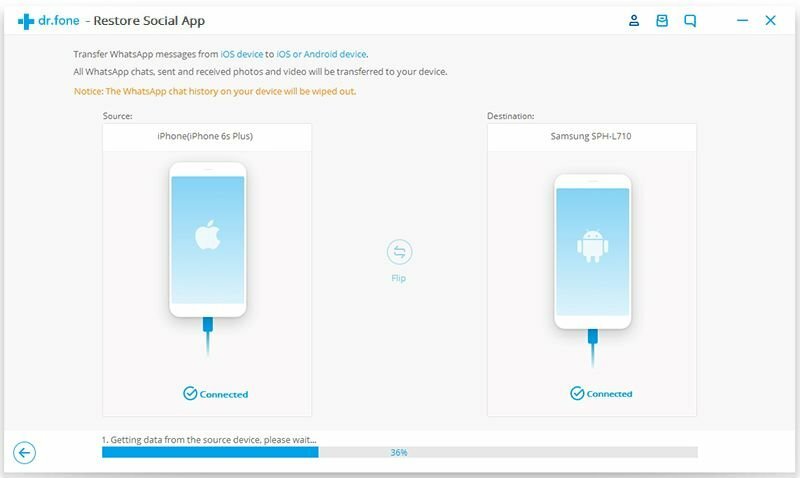 Any users trying this method should aware of the fact that when your phone is restored using the backup, the messages that you have received after the latest backup will be deleted. Also, this method doesn’t give you any tool to filter the messages or data that are being transferred, in other words, your freedom over the data being restored is heavily restricted. 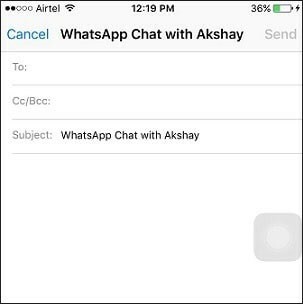 If you have email yourself a WhatsApp chat, then you can restore the chat straight from your inbox. You can send the email by using the export chat option in WhatsApp. Step 2: Once you send an email to yourself, download the chat attachment in the email. Now you need to save the file in the WhatsApp root folder. This is usually located at File manager>Whatsapp>Databases. Emailing WhatsApp chats can be regarded as one of the most complex and tedious WhatsApp restoration process on our list. This is simply because you will have to export chats one by one and save as like they are into your phone’s memory. Having no support for exporting chats having over 25MB in data size is also a letdown for many users. In total, we have provided you with 6 different ways in which you can restore WhatsApp chats in your iOS and Android devices. Obviously, we would recommend the easiest and effective method of the bunch – iSkysoft toolbox, however, the ultimate decision is up to you! 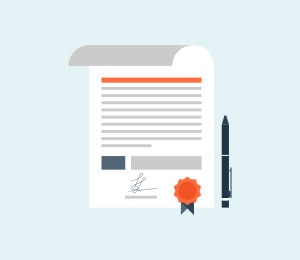 Always use methods from trusted sources as restoring and backup procedures directly involve your data. We also don’t advise you to approach repair centers who don’t have the right credentials. Data privacy should be utmost priority and since much of our personal data flows through WhatsApp, It's better to do the data processes yourself! Hope our guide was of value to you!